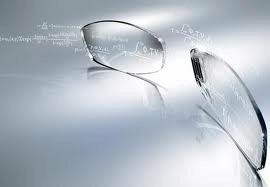 At Optical Dynamics, we use digital free-from molds to produce customized lenses with improved optics and enhanced visual clarity. As published in Eyecare Business, the following six points are key to understanding the free-form process. The main difference between digital and traditional surfacing is digital surfacing’s ability to produce more complex surfaces with extreme accuracy. Digital surfacing can be used to create simple single vision or complex progressive surfaces. The ability of the lens to provide visual comfort and performance is determined by the quality of the design. Digital surfacing is referred to as direct-to-surface, CNC and free-from. All refer to basically the same process. The most significant variable involves the process used to calculate the design. Digital surfacing processes require significantly more calibration and control compared to traditional surfacing. There are to inherent benefits common to nearly all digitally surfaced PALS: reduction of marginal astigmatism and reduction of “rounding errors”. Remember: all lenses that bend light will have aberrations and spherical surfaces create aberration. Its a matter of how those aberrations are managed that provides a unique benefit to the wearer.